Brainjuicer was formed with the purpose of re-inventing market research. And that was back in 1999. So they were ‘disrupting an industry’ way before it became the thing to do! Their goal for their clients is to turn ‘human interaction into business advantage’. So, I was intrigued to find out how this focus on the human element filtered through their organisational culture and the way that they work. 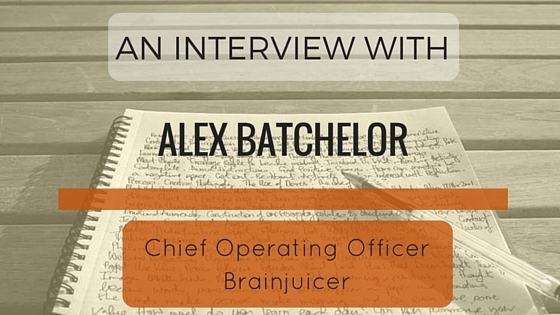 Recently, I was lucky enough to meet with their COO, Alex Batchelor, to get a sneaky insight into what makes Brainjuicer tick. Alex, can you briefly describe what your business does? Brainjuicer do market research for some of the largest companies in the world such as Nestle, Unilever, McDonalds and Proctor and Gamble. We believe that a lot of market research is rubbish. We have a strongly held belief that behavioural science is teaching us a lot of interesting things about human behaviour. So we look at market research in a more oblique way. We ask about how people feel and why, to try and understand their behaviour. For example, we often ask what people think other people will buy as we are better at predicting the behaviour of others than our own. In terms of size, we have a turnover of £30 million, a team of 170 people across 15 offices in 11 countries. As you approach market research differently, does that effect the type of people you hire? Our approach to market research sometimes contradicts long held established beliefs held by our clients about how people make decisions, and what kind of choices they make. When you have a strongly held belief system, some clients won’t share it as deeply or strongly as you do. And that can be waring. You have to be extra resilient. So we need to hire people that are resilient, even if their own belief in our approach is strong. Your culture is highly influenced by Dan Pink’s book Drive. Can you tell me more about that? This means we have to have conversations with our clients about whether it is actually working. Quite often, in a job, you will do your thing – write the report, do a project – but not really know if it has changed things. We know there is a feedback loop that we consciously have to go through to make sure we are meeting that purpose. We approach this quite informally. If you are the spreadsheet whizz, teach your mates. One guy runs a book club so people are up to date on books we are recommending to our clients. You have to want to do it. But if you are being pretty successful without doing the training or reading the books, we are not going to sweat it. It is not a test. There is some training that people have to do – information security, for example. However, it is important to make sure it is relevant to their role. You need to make training fun, fast and easy to do. That is often better than perfect. 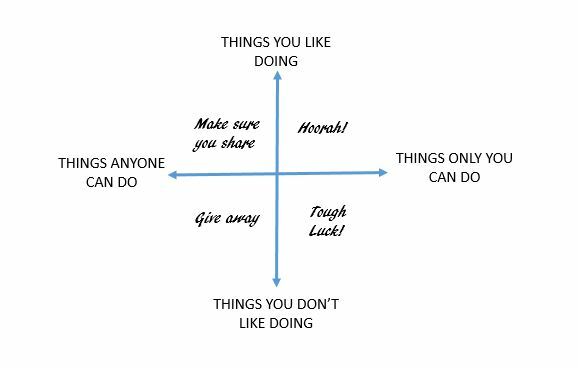 Another thing that Dan Pink talks about is Flow. You have to really understand what people are good at and what they are not. You can then find the best place in the company for them. It is very easy to say you want a totally autonomous environment. For us, we don’t worry too much about working hours. As long as you get the job done, as a company, we don’t really care when you do it. However, that does vary in different departments and for different individuals. If you have someone that you think is shirking then you will want to keep a closer eye on them. That is your job to manage as a line manager. But in principle, if that is just your habit as a line manager and you don’t trust your team, then something is probably wrong. We see the job of managers is about the work getting done, not can I see them working. So without making it a policy, we try to make sure everyone knows that is our intention, and it is up to them to work out the best way to make it happen. We would rarely overrule a manager’s decision if it made sense for the business and customer. It is a bit like having teenage children. You could spend the weekend nagging them about their homework. It is better to agree what has to get done, agree it will get done by a certain time, but when they do it and how they will do it is up to them. This must influence what you look for in managers? Yes, and we have found it quite hard to assess for these capabilities. Sometimes you only really find out when they arrive. We have found there are two things that then happen. This is why we have had success promoting graduates or junior people. Those ingrained habits and beliefs can be hard to change unless there is a willingness and intent to change. The trouble is with that – the intent can often be there – but the willingness is harder to get. You need to notice behaviours and talk to people about them. A lot of industries have ethical values but if the money is coming in they don’t care. We are totally at the other end of the spectrum. If you are technically brilliant at your job but not meeting the values, we need to chat. What else do you think is important for good working relations? We forget sometimes that people do not have the knowledge we have. So if a colleague does something that we think is obstructive and annoying, stop a moment. Before you send a flaming email in response to something they have said, ask yourself why they think their approach is right. You may then see there is a misunderstanding that can be resolved, or another way around the problem. We should think about our colleague as someone that is smart, well intentioned and trying to do their best for the company. Suddenly that makes most problems very solvable. You have an interesting approach to recruitment, with your focus being on finding the right people first, the job they can do second. Sometimes you can get too hung up on seniority levels. You always think that seniority matters most. But sometimes you can find someone more senior or more junior that could do it just as well. You assume that you need a Director to do a certain role. However, you could be missing the guys below or above that level that could be amazing. When you find the right person, you should rejig that job description to make it work. If we think their fit trumps the gap, then it is worth rejigging. You have to be open and sometimes you just get lucky. We do like to promote from within and we encourage referrals from the team. Predominantly, any hiring failures we have had have been as a result of the hire struggling to adapt to our environment. You are a global company, does the culture vary across offices? If not, how do you ensure that the culture is shared? They all have their own quirks and we encourage that. As long as everyone is happy and fundamentally we are trying to do the same thing, then that is fine. The test is when we send people over from one office to another. The feedback about the experience is almost entirely hugely positive. We plot all 1000 projects we do and that gives us a clear understanding if everything is working. To have successful projects, you need a good balance of happy employees and happy clients. What do you do to get people up to speed both in their job and understanding how the business works? About four times a year we run an onboarding week for any new hires called Juicy Beginnings. It normally has about 8 -15 new hires. This involves product training, meetings with the CEO, COO and CFO. It also includes a Cohort Challenge on the final day. As a group they choose something we have identified as a problem in the business. They go away and decide together what they believe we should be doing to fix it and present back to the senior leadership team. Great for team building and gives them a sense of doing something. When they have just started, they can really be innovative. They have past experience that is fresh and can draw on that. Once they have been in a year, they do things because that’s how we do it around here and tend to behave the same as everyone else. They say that it is great colleagues and team that keeps people in a company and I think that is a big part of it for us. For the team in Brazil, for example, it is all about the team in Brazil. There is a bit where the purpose matters. If we are trying to change an industry and it is not changing then there would not be the implicit growth for them or the company. You shouldn’t overestimate how amazing you think you are as a company. It is a job that pays their bills and their mortgage and for whatever reason it works for them. I think it is a series of little collectives that makes them stay. What advice would you give a business that was losing a high volume of staff? Where would you start? I would look for patterns. We are very good at spotting patterns that don’t exist. Firstly, make sure this is really a problem. Do some triage. It is easy to jump into solution mode before you are really sure there is something to fix. Look at why you are losing staff. If we lose staff because they are moving to an opportunity that we could not provide, that is fine. If we are losing staff to our competitors then alarm bells should be going off. If you find a pattern, find out how you can fix it. You have to be totally honest with your team about what you are doing and what you think will happen next. Be seen to do something about it. You need to build credibility. There is always an element of luck with this but if you get the credibility you can manage some things that don’t quite go to plan. And maybe you can’t fix it. In which case, you should spend your time figuring out a really efficient process for hiring lots of new people.